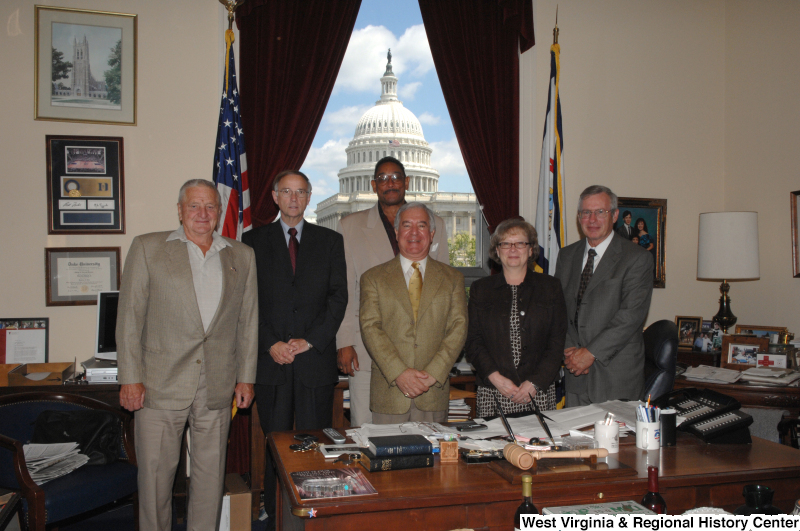 Congressman Rahall stands in his Washington office with four men and a woman. 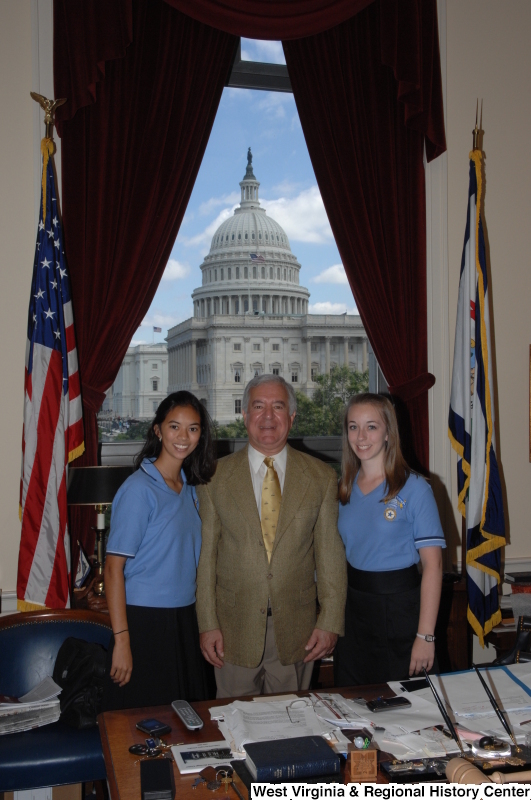 Congressman Rahall stands in his Washington office with two young women wearing blue shirts. 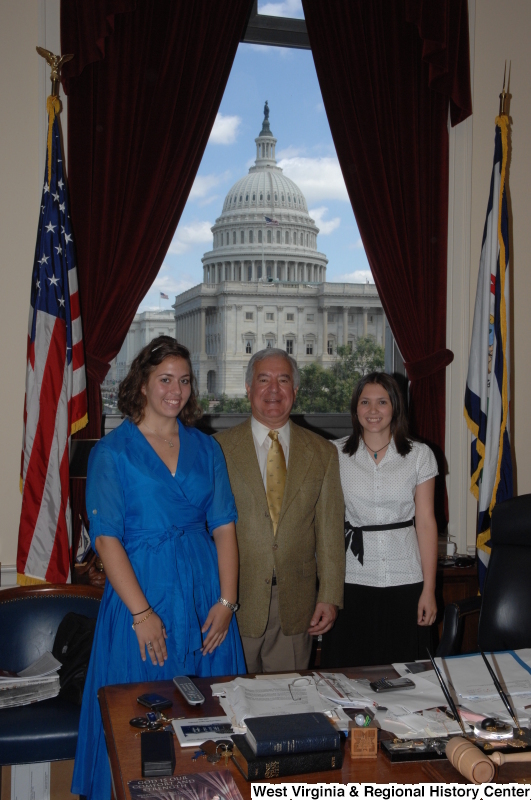 Congressman Rahall stands in his Washington office with a woman wearing a blue dress and a woman wearing a white and black-dotted shirt.